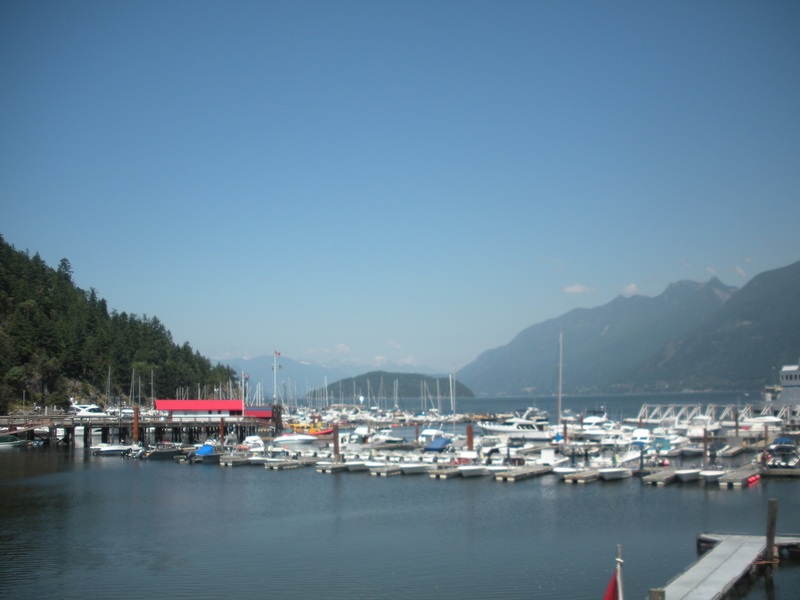 For cool spot #12 I went with Horse Shoe Bay which is just a little bit north of Vancouver. It is a stunningly beautiful place where ferries transport passengers to and from Vancouver Island and the Sunshine Coast. It was not our first time there and I hope it will not be our last. Highway 99 leads from Stanley Park to Whistler and then some actual Canadian desert before it eventually joins a bigger road in Kamloops. Along the way it passes harbors, mountains, resorts, and wilderness. 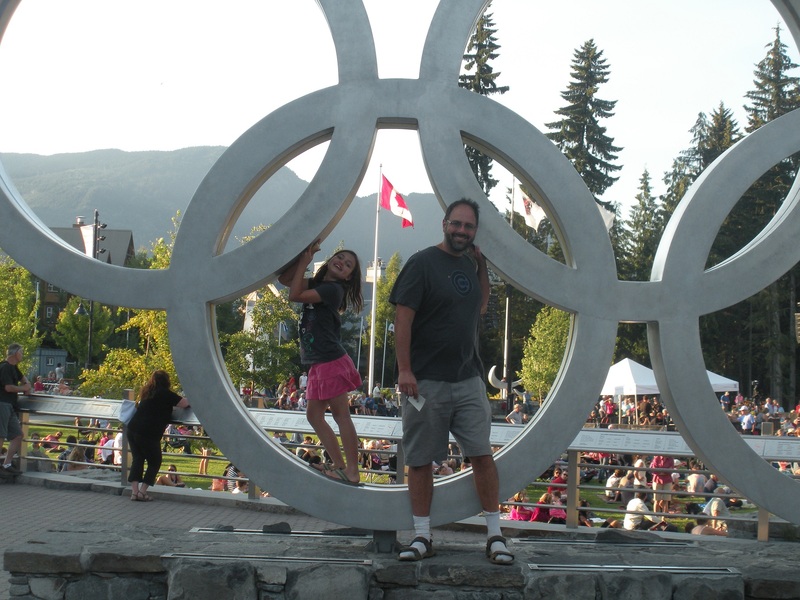 For a lot of people the destination is Whistler (home of the 2010 Winter Olympics). I got to say though that the resort town just is not doing it for us. When it comes right down to it, what I don’t like about Whistler is that it is not a national park. It’s not a town either. It is a loosely connected group of high end villas, restaurants, and gift shops mixed amongst a lot of dirt trails ideal for mountain biking around the valley. I am guessing there are some ski lifts too but we have not gotten around to checking those out. Our campground is clean, offers great showers, propane grills, and WIFI but only offers walk in sites. There is also a fire ban in effect and this leaves us defenseless against the swarms of mosquitoes that are everywhere. 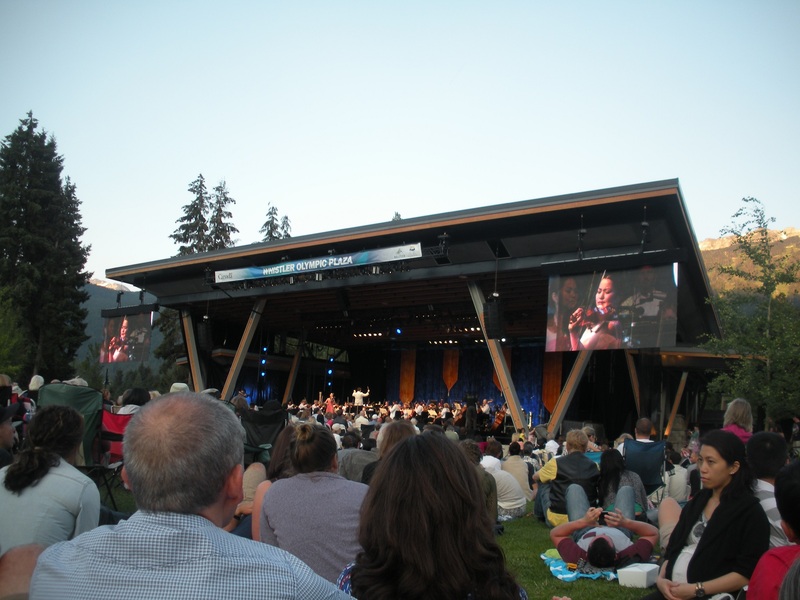 I will be honest, I wasn’t liking the place too much but then we stumbled onto the Whistler Olympic Plaza and caught the Vancouver Symphony Orchestra playing. It felt good, listening to tunes and just being in the moment. I wouldn’t mind coming back here either. This entry was posted in Milestone Trip 2013 and tagged Horse Shoe Bay, Whistler by hennacornoelidays. Bookmark the permalink.